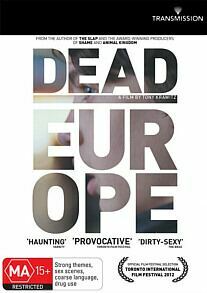 Dead Europe DVD Review A ferocious fever dream, Dead Europe is an uncomfortable film to watch, a thriller that refuses to use any of the genre’s tropes and still manages to trump many of its offerings. As I was beginning this review, I found myself with fingers poised above the keyboard staring blankly at the GENRE section. How do I classify Dead Europe using the narrow vernacular of genre? The film works equally as effectively whether it’s viewed as an existentialist drama piece or a surreal horror film, with the pervading notion that past atrocities are never truly buried. Directed by Tony Krawitz (“Jewboy”) Dead Europe is based on the 2006 novel by Christos Tsiolkas, who also wrote the source material for the well received television series “The Slap”. 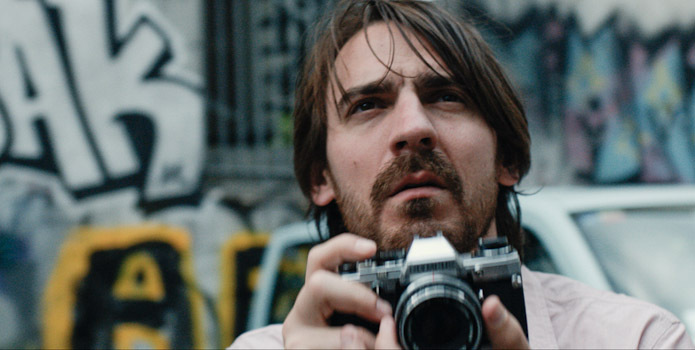 Dead Europe introduces us to Isaac (Ewen Leslie), an Australian photographer who witnesses his father muttering to himself and eating soil before later deliberately colliding with a truck. Tasked with returning his father’s ashes to his native Greece, Isaac soon hears word of a curse hanging over his family; dismissing the curse itself as superstitious nonsense, he instead finds himself fascinated with finding out the unspoken atrocity that supposedly caused the curse to be laid. Crossing paths with a young refugee named Josef (Kodi Smit-McPhee) Isaac offers assistance but soon loses the boy through circumstances beyond his own control. Racked with guilt for being unable to save Josef, Isaac soon finds that the sins of the past are never truly laid to rest and must confront not only the truth about his family but also the truth about himself. Dead Europe is a horror movie that isn’t a horror movie. The uneasiness that comes from the dreamlike quality of Isaac’s journey and the drip feeding of information serves for engrossing viewing, putting you in an alien world where simmering resentment and Anti-Semitism runs rampant. The Europe depicted in Krawitz’s film is a den of filth and inequity, where exploitation is the name of the game and beneath the veneer of architectural beauty lays a shameful, blood soaked history that still resonates to this day. The cinematography is simply beautiful, adding to the disconcerting aesthetic; shot on location, the film invites us to look behind the curtain at a vision of Europe rarely displayed in films. Dead Europe’s direction echoes Polanski’s “The Tenant” for me; everything just seems slightly off, but you can’t for the life of you discern what exactly it is. The sound design and grimy palette only serve to add to this atmosphere of contextual ambiguity – Is what we’re seeing actually what’s happening? Throughout the film Isaac experiments with drugs and random sexual encounters and as his perception of reality becomes distorted, so does ours. The core journey of the film isn’t the physical one, however; in order to find the truth Isaac is forced to change from a passive observer to actively engaging in events. Naive and alone in a strange environment, his predilection for anonymous trysts shows someone who fears intimacy, preferring a self imposed segregation. The further he goes down the rabbit hole the more he realises that to achieve any kind of resolution he has to take action. 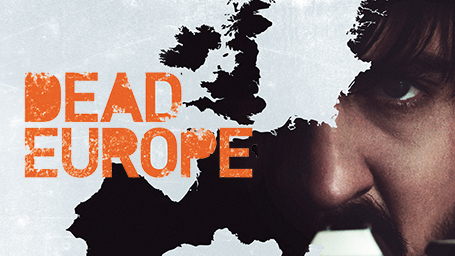 Dead Europe deals with uncomfortable themes with an audacity rarely seen in mainstream films; Isaac’s sad journey into a culture where present-day horrors are still being visited upon Europeans, ostensibly as a result of their descendants' past actions is an incredibly harrowing one, but certainly not without merit. Additional features on this release are comprised of a Making Of featurette that covers the journey of the film from Krawitz’s initial reaction upon reading the novel to post production. Really the only feature of any merit, the disc also includes a small collection inconsequential films stills and posters. A film draped in as much uncertainty as Dead Europe would have benefitted greatly from a commentary track; although the Making Of is relatively in-depth, to hear the motivation behind certain stylistic choices and the misleading direction would have been brilliant. I think my main bone of contention is that, personally, when I enjoy a film as much as I did Dead Europe I throw myself into the lore of the film and the meagre offering of the admittedly great Making of did little to sate my hunger. A ferocious fever dream, Dead Europe is an uncomfortable film to watch, a thriller that refuses to use any of the genre’s tropes and still manages to trump many of its offerings. 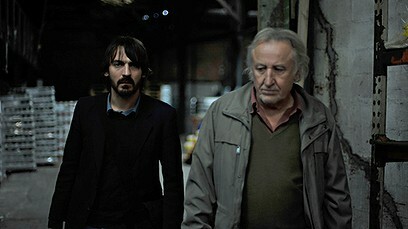 As part of the vanguard of the Australian film industry, Dead Europe sits comfortably alongside contemporaries like “Snowtown” and “Animal Kingdom” and shows that Australia is willing to create thought provoking and bold artistic statements that can stand toe to toe with the multi-Million dollar blockbusters. One of the best films I’ve seen this year, it’s not for everyone but if you’re looking for a movie that’ll provoke conversation long after it’s been turned off then Dead Europe is a puzzle just begging you to put together the pieces... Although, if you’re like me, you’ll probably spend the last half hour screaming “Look at your goddamned photos!” at the TV.